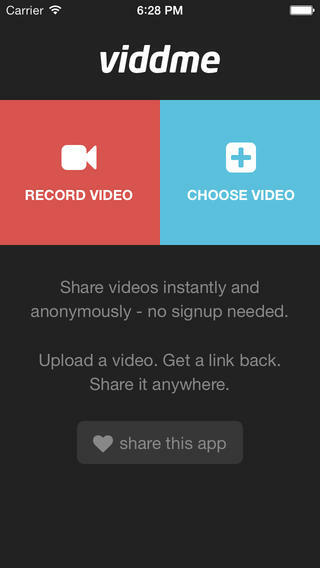 Share videos instantly and anonymously – no signup needed. Upload a video. Get a link back. Share it anywhere. Instant video sharing. 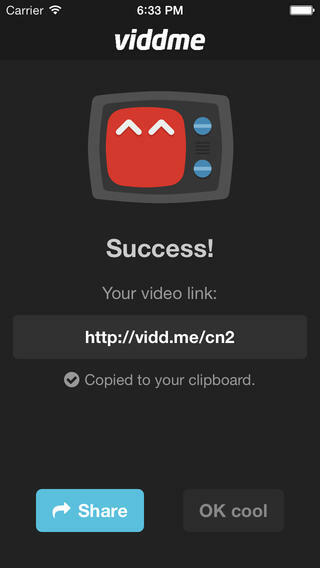 Viddme turns videos into links. It’s like Imgur for video. 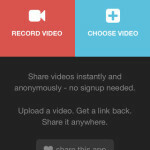 Record a video and get a http://vidd.me link to share anywhere. No signup or login needed. 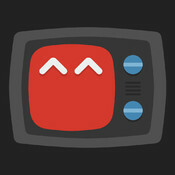 Share videos anonymously if you want to.